Netflix introduces us to a weird variety of shows. Scanning their library of documentaries and reality TV shows is sort of the new channel surfing experience for us in this post cable TV life and I don't regret it. There are a nunber of shows that will surprise you in a nicely positive way. That was what happened to us with Zumbo's Just Desserts, which we had expected to be just like the many other cooking-related competition shows out there. But now many of the tropes of the genre are pretty familiar and the reality TV framework sort of nudges folks in almost predictable directions given a particular setup. But this show felt rather fresh as it was pretty much centered on the titular chef and his unique brand of creativity as applied to his dessert creations. All cooking fields have their distinct flavors and nuances in terms of overall style and how they present on TV. But this show tried to give things a distinct slant that may not necessarily feel 100% original in all aspects but it's certainly fun to watch. Synopsis: Zumbo's Just Desserts is an Australian baking (or desserts) competition that originally aired on the Seven Network. The show centers around Adriano Zumbo as the primary judge and host as accompanied by Rachel Khoo as co-judge and Gigi Falanga as assistant. The show brings together 12 home cooks and challenges them to create amazing desserts in a Willy Wonka style setting. Episodes are typically broken up into two main segments. First is the Sweet Sensations challenge, where contestants are given a theme to follow and they are free to come up with any dessert that meets the requirements. The bottom in any way move on to the Zumbo Test, which involves them attempting to recreate one of Zumbo's crazy creations just by following a recipe. This is where the real challenge lies as his treats often involve some degree of trickery as most desserts contain several layers of different flavors that require a lot of skill to prepare correctly. What I Liked: I typically prefer merit-based reality competitions as opposed to those that rely more on looks or social manipulation, so this show was right up my alley. Plus the fact that it's all about desserts, a subject that is quite easy to love, and the show just carries itself. And Zumbo really does come up with some crazy ideas that are no small feat to create and it's really quite the challenge for contestants to match the final output just by following a recipe. The contrast between the initial Sweet Sensations Challenge versus the high pressure Zumbo test is pretty clever that gives contests equal opportunities to show who they are their desserts at first but still be tested on the more essential skills that any pastry chef or dessert maker should know. Thus you see that those who survive the Zumbo Tests actually somehow get better at what they do because of the many techniques and approaches covered in those recipes. What Could Be Better: I'm not a big fan of Gigi as the time-keeper and assistant as her role is really to shout at everyone and add more pressure. There are a number of times where she discovers something that is going wrong with one of the desserts and that just makes her run back to Zunbo to talk about it for the benefit of the audience, which overall just feels like her not really supporting them in these challenges. The pacing of the show can be a little weird at times, especially when it comes to moments when they let the judges speak at length. The way they try to draw out announcing their scores in classic reality TV fashion gets old really fast, especially when the scores are pretty low for most of the series and so they're not numbers you really look forward to. 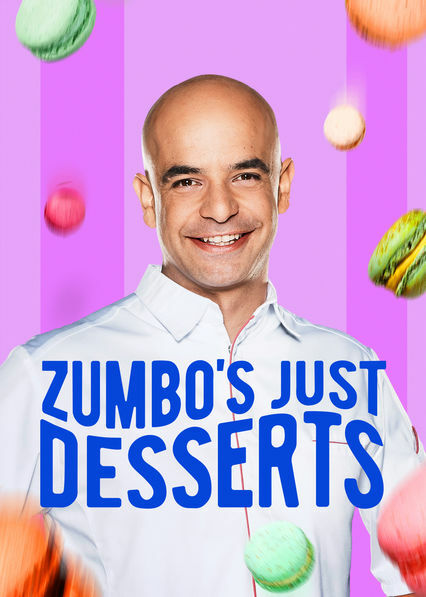 TL;DR: Zumbo's Just Desserts is still a clever spin on the baking reality TV show and one that comes up with so many crazy ideas. It's a delight to watch and I rather enjoyed the final outcome. Thus the first season gets a good 4 instances when someone's dessert doesn't set properly out of a possible 5.